Anna May (Corcoran) Kelliher, 89, formerly of Dorwin Drive was called home after enduring the long good bye of Alzheimer’s on Monday at the Arbors at Westfield. She was born in West Springfield on March 6th, 1929 to the late Mary (McCann) and James Corcoran. She lived all of her life in West Springfield and graduated from Cathedral High School. Anna May worked in branch training for Valley Bank and Bay Bank for over 20 yrs. She was a lifelong and active communicant of St. Thomas the Apostle Church. 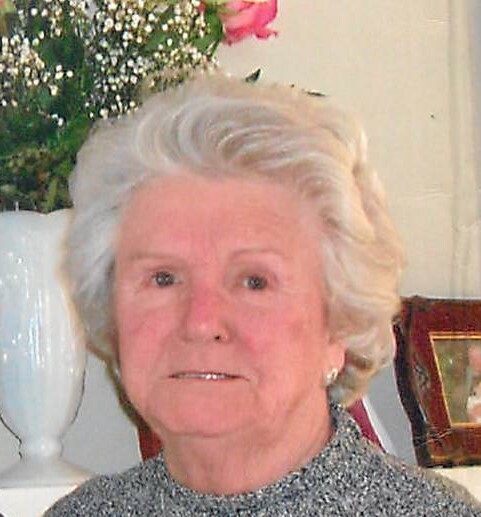 She was a member and former President of the St. Thomas Women’s Club. She was the loving widow of John R. Kelliher Sr. who passed away in 2017, beloved mother of Karen Barrows of West Springfield, John R. Kelliher Jr. and his wife Elizabeth of Suffield, CT, Michael Kelliher and his wife Susan of Hingham, MA and Eileen Gagliano and her husband Greg of Westboro, MA, devoted grandmother of Katie Chipps, Traci Barrows, Erin Garrity, Theresa Young, Megan Barrows, John Kelliher, Gosi Kelliher, Jamie Gagliano, Daniela Kelliher, and Nikki Gagliano, and cherished great grandmother of Emma Chipps, Charlotte Chipps, Kaedo Kelliher, Lennox Kelliher, and Eleanor Garrity. Anna May was predeceased by her for siblings; James Corcoran, Marylin, MacKusick, John Corcoran, and Regina Newman. The Kelliher family would like to thank Talin Ganemian and all the staff in the Memory Care Unit at the Arbors in Westfield. The funeral will be Wednesday 9 AM at the TOOMEY-O’BRIEN FUNERAL HOME, 1043 Westfield Street, West Springfield followed by a Liturgy of Christian Burial at 10 AM at St. Thomas the Apostle Church. Burial will be at the St. Thomas Cemetery. Calling hours are Tuesday from 4-7 PM at the funeral home. In lieu of flowers donations in Anna May’s name may be made to the Alzheimer’s Association of Massachusetts, 264 Cottage Street, Springfield, MA 01104-3274.